Just a quick note to let you know that we are making some changes to the blog and may not be posting much for the next few weeks. In the meantime, follow us on Instagram for your daily dose of Ruby cuteness. P.S. : We are super excited and honored to have won a BlogPaws Nose-to-Nose Award for Best Written Blog Post last week in Kansas City. Thank you! We look forward to seeing your new blog, and congrats on the award! Pink Looks good on Pip! Can't wait to see the new changes! And congrats on the win! I don't use Instagram, so I will just wait for you and Ruby. Congrats on the award, you deserve all good things in life. Congratulations on your award! You look so pretty in pink, Ruby! We are totally thrilled you won the Nose-to-Nose Award, totally! Congrats on your reward. You look so cute Ruby. Your pink sweater is just fab, Ruby! We're excited to see what changes are coming! P.s. Concatulations on your well deserved win! Congrats! Looking forward to your changes. I tried instagram, didn't love it and then heard the app listens in and records the rom, so got rid of it. Congratulations. That is so cool. Can't wait to see what changes you make. 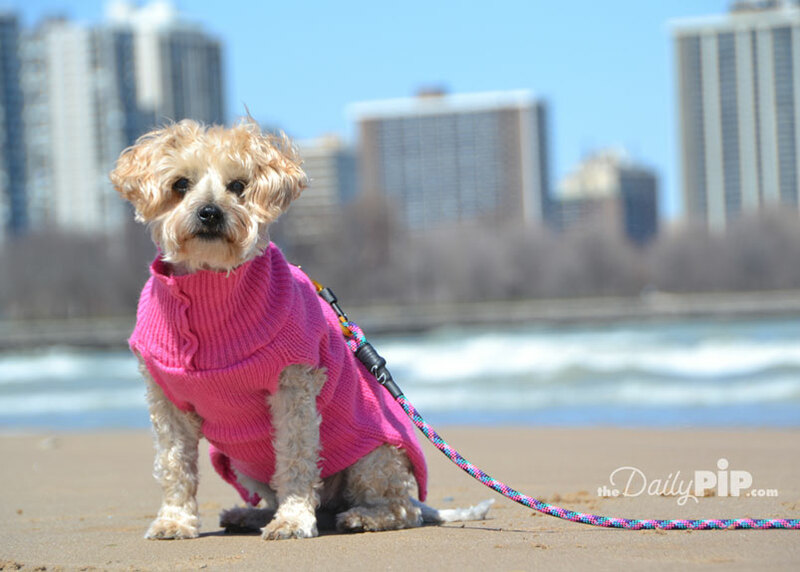 Ruby, you look adorable in your pink sweater. Congrats on your N2N award! So well deserved. Woot Woot!! Congrats again on your award! We can't wait to see your remodel!We'll have to make sure to get together again…and remember to get pictures next time! 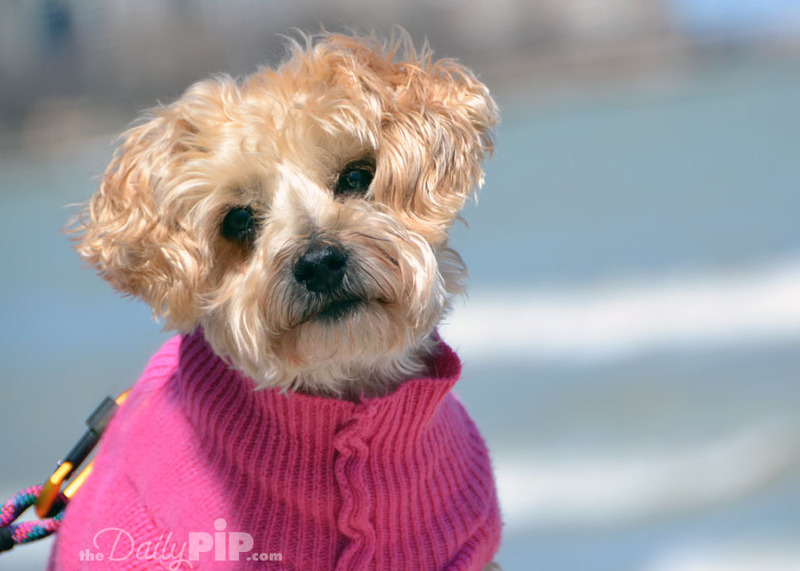 Lookin' gud in yer pink sweater! Great sweater and congratulations on the award. Sorry we didn't meet you there, but it always happens that we miss people. Congrats on your win and good luck with your changes. Looking cuter than ever there Ruby.Gail and I look forward to seeing what changes you have in store for your blog.Toodle pip!Bertie. Congrats on your award. You deserve it!! !Ruby looks like she's so confident, healthy, and happy! You've brought her so far. What a sweetie she is! Congrats on the recognition! 💖 We'll be here looking forward to seeing the revamped blog when it's ready. Ruby, you look dazzling in pink!Congratulations on the award, too! Ruby looks so good in pink! Good luck with your changes, and huge congratulations on your much-deserved award!! We can't wait to check out the changes! Ruby, you look like a puppy with your fur trimmed like that. Love the sweater. And congratulations on your win! Ruby, you are so sweet and cute as always. I found you on Instagram and I am following your sweet face !! Congratulations on your win! You look so pretty in pink, Ruby!